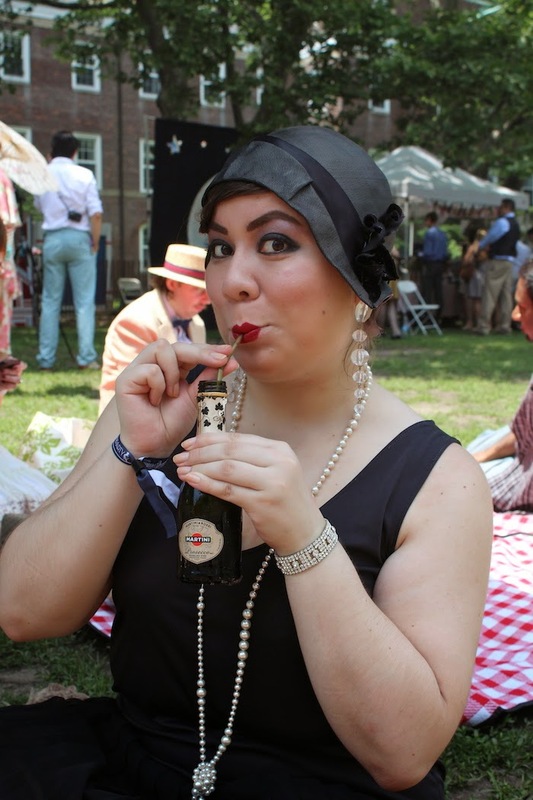 This was my third year attending the Jazz-Age Lawn Party. 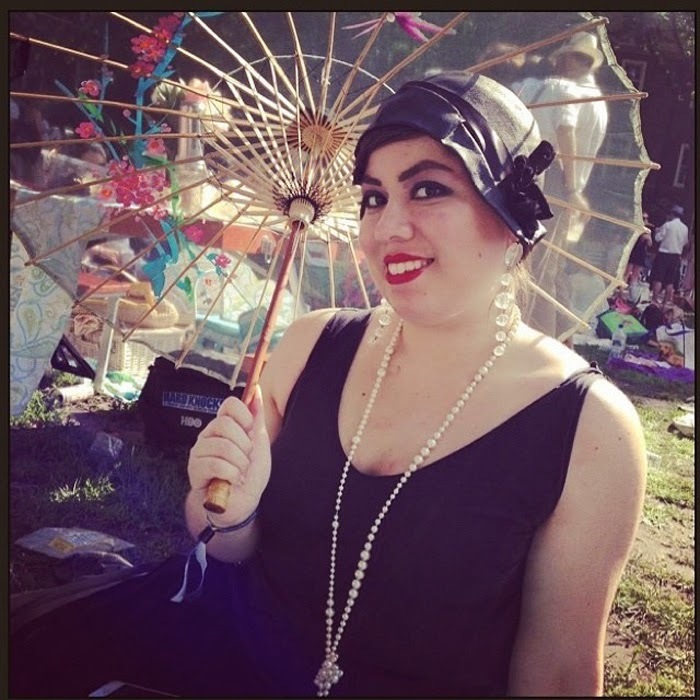 Each year, I get better at my "1920's look." Since I live in a 60's world, I often struggle with Gatsby sensibilities. The first year, I went dress shopping and settled on a floral number that I deemed "semi-1920's." Let's be real, it was totally 1950's. I tried my best to accessorize though! The second year, I took my mom! Her look was probably more accurate than mine. I was headed in the right direction and fairly proud of myself for a daytime drop-waist dress, but on the way there, we got comments on our "different eras." La-dee-da. This year, I went for a nighttime look that I'm super into. I found the perfect drop-waist nightie at Goodwill and this fantastic hat at Beacon's Closet for a mere $8! Add in glamorous accessories and a cupid's bow lip, I was good to go. 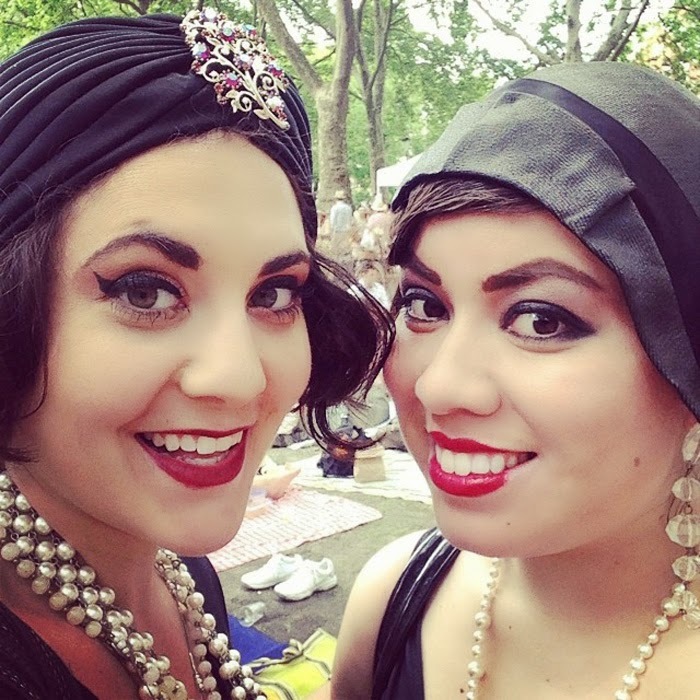 This year, I attended with Miss Julie Mollo who looked equally glam in her turban and signature red lip. I also spent time with Rachel, photographer extraordinaire, as she shot street style around the event. It seems more crowded every year, but the crowd watching alone is worth the trip. Stay tuned for more photos from the event! SO CUTE!!! squeee! 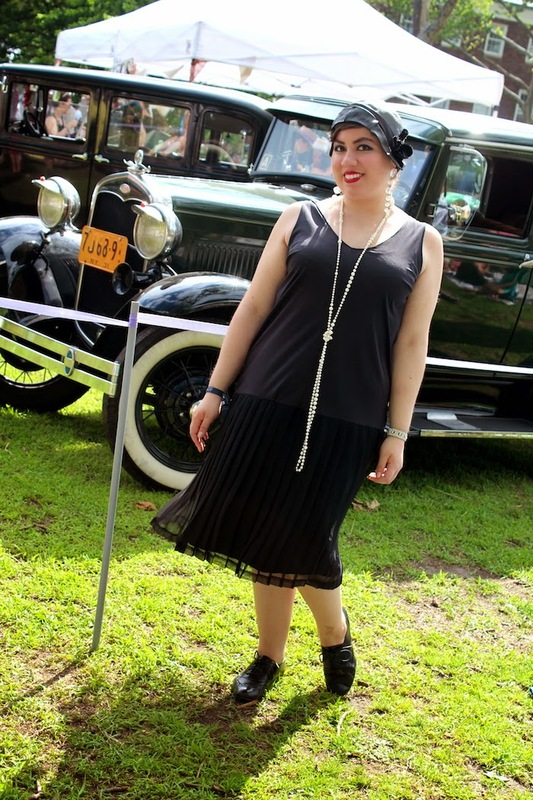 i wish the flapper style was more in for everyday wear!! Yes, I think this is your most 1920s look yet and I like all the details like the fingerwave hair and the cupid bow lipstick. So adorable, and I'm obsessed with your makeup here! 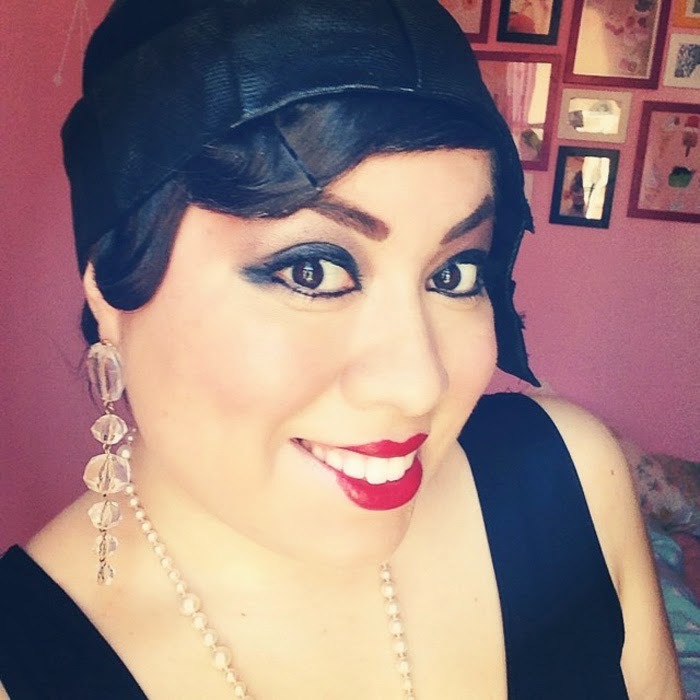 I've had trouble with a 1920's look before too (I had a friend who had a roaring '20s birthday party a few years ago), but like you, I opted for a slip (and did a faux bob). I don't look good in anything with a drop-waist, though. This looks like soo much fun.